The movers will soon be here and with that move your home will officially be sold and transferred to the new owners. In your haste to get everything else done, you may overlook a few things. One of those things is preparing your home for the new owners, a job you can do yourself, but is also best done with the help of others. Here’s how to whip your home into shape before moving. 1. Clean out the cabinets. You’ll be packing dishes, tools, and other assorted items occupying cabinets in the kitchen, laundry room, and your work area, such as your basement. Take some time to go through each cabinet, remove and pack the items, and then clean out each cabinet. Use a disinfectant to clean them, place contact paper on the bottom of each level, and paint as needed. Lastly, resolve not to place anything new in the cabinets as you continue with your move. 2. Empty the attic. Your attic may have the most junk in it. Sooner or later it needs to be emptied out — and the sooner, the better. Here, you may need to hire help to get the work done, especially if you have used the attic as a repository to hold furniture, doors, and other heavy items. You can hire a company to move these items to the main floor of the house or cart away what you don’t use. 3. Drain the pool. If you own a pool, drain it before you sell your home. Why? Because a pool can be a liability issue, one that you will have on your shoulders until the home is officially transferred to the new owners. You don’t need that worry or headache to accompany you. Empty the pool and cover it. The new owners can tend to it once they are settled in. Of course, this is not an issue if your home sells during the colder months when the pool isn’t in use. 4. Clean out the garage. Chances are your garage has more items in it than you can count. Among those items may be things that need to be carefully disposed, such as hazardous materials. Specifically, your garage may have old paints, varnish, chemicals, and items that cannot be disposed of except via hazmat services. Your local recycling center may be able to handle these items, otherwise you may need to call a removal company to have these goods removed. 5. Contact the carpet cleaning company. 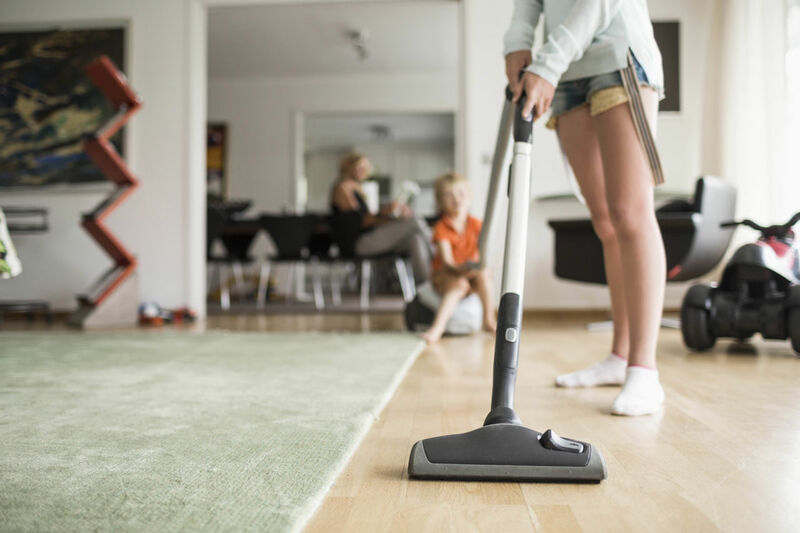 The day you move you need to have two things done: a cleaning company needs to come into your home to wipe down surfaces, clean blinds, wipe floors and clean your carpets. You may need to hire a separate company to handle the carpets. In any case, make that appointment and have the cleaners on site once the moving company has left. Then, turn over the keys to the new owners. 6. Make arrangements with your favorite charity. You’ll be bringing a lot of stuff with you as you make your move. At the same time, there will be a number of items you won’t need. These can and should be donated to your favorite charity. Contact the charity and arrange for a pickup. Typically, they’ll stop by, remove the items from your garage or front stoop, and leave you a receipt. Keep that receipt, carefully fill it out, and give it to your tax accountant when you do your taxes next year. You’ll save money by deducting these items. Hiring the right people to help you with your move will expedite the process and enable you to make your move. You may pay more money up front, but you’ll save time and avoid aggravation in the long run.